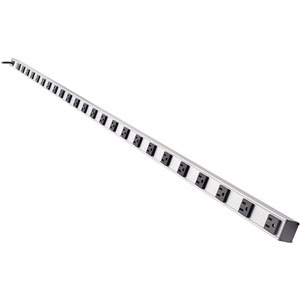 Tripp Lite's PS7224 power strip offers 15 amp, 120V multi-outlet AC power distribution in a convenient 72 inch mountable housing. Offers horizontal or vertical power distribution in rackmount, raceway and workbench applications. Includes 24 NEMA 5-15R output receptacles with 2.795 inch center-to-center spacing, 15 ft AC line cord and lighted power switch with locking transparent cover to prevent accidental shutoff. 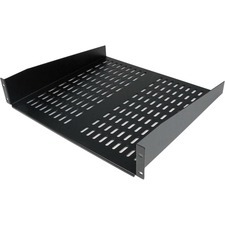 Sturdy all-metal extruded aluminum housing stands up to demanding network, laboratory or factory environments.